CHECK YOUR TANK'S PROPANE ACCURATELY: Using the most accurate and reliable method of measuring propane, which is by weight, you can now be certain if you're getting a full tank when your refill it! NEW EASY LIFT INDICATOR: Unlike any other product in the market, with our innovative redesigned auto check indicator, you can now check your tank by lifting it only a few inches - and not at waist height - in order to read the dial! 100% SATISFACTION OR YOU GET YOUR MONEY BACK ! 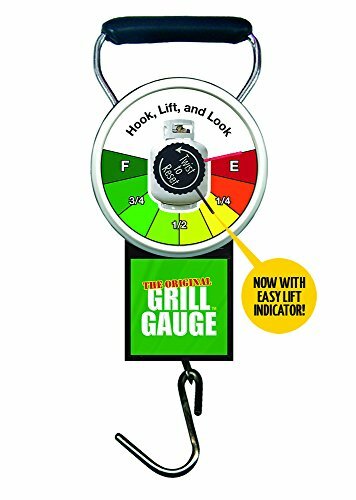 If you have any questions about this product by Grill Gauge, contact us by completing and submitting the form below. If you are looking for a specif part number, please include it with your message.